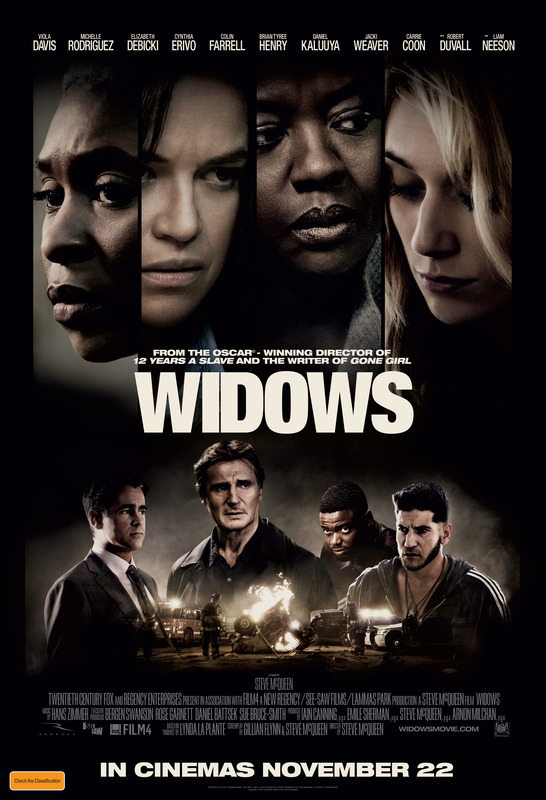 An absolutely electrifying heist thriller from Steve McQueen with a phenomenal cast and gripping story, Widows is one of the best films of the year. Viola Davis stars as Veronica Rawlins, an advocate for a teachers union in Chicago. When her husband Harry (Liam Neeson) is caught in a robbery that turns bad, leaving him and his crew of thieves incinerated, Veronica must rally the other widows to pull off a multi-million dollar job of their own to pay back their husbands’ debts. Daniel Kaluuya and Brian Tyree Henry play criminal brothers Jatemme and Jamal Manning, who are running for public office against Jack Mulligan (Colin Farell) whose father Tom (Robert Duvall) sparked an election after retiring from office following a heart attack. While the male characters are important to the storyline, they are peripheral to the dramatic interplay between the widows as the women bristle against one another as they work together to learn how to pull off a robbery. McQueen directs with precision and efficiency, so that just one brief scene featuring Elizabeth Debicki as Alice, and her mother Agnieska (Jacki Weaver) illustrate how Alice came to be partnered with an abusive gangster and how she seeks to change the course of her life in the wake of his violent death. Similarly we get a real sense of the backstories of Michelle Rodriguez’s Linda and Cynthia Erivo’s Belle, as Veronica rounds out her “Reservoir Dolls”. Despite the behaviour of a couple of assholes sitting in my row at a packed screening who talked constantly, drummed fingers on their armrests and played with their phones, the film held me enthralled for two solid hours as the women built up to the big job, and life after the death of their husbands. Unlike Ocean’s 8 which apart from some good fashion, was an utterly lame affair, Widows delivers a dangerous, daredevil ride that I can’t wait to take again. 5 Stars. One Of The Year’s Best Films.